Insulation contractors should be experienced and knowledgeable and represent a company known for trustworthiness and customer service. 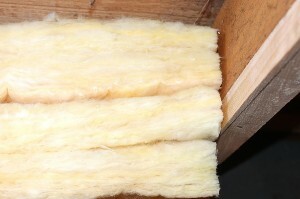 If your home in Raleigh or elsewhere in North Carolina needs new insulation, turn to the experts at 31-W Insulation to have the job done right. We install insulation from a variety of the industry’s leading brands, including CertainTeed, Owens Corning®, and Demilec, and our teams of highly trained insulation contractors provide exceptional professionalism, workmanship, and efficiency. In fact, we’ve earned an A+ rating from the Better Business Bureau, a testament to our emphasis on customer service. With our team of insulation contractors working on your home, you can trust that we’ll get the job done quickly without dangerously cutting corners. That way, you can enjoy a house that’s easier to keep just the right temperature, regardless of the season. And, with your HVAC unit not having to work as hard to keep up, you could see a reduction in your monthly energy bill. For more information on how our insulation contractors can help you, or to schedule a free estimate in your home in the Raleigh area of North Carolina, contact 31-W Insulation today.